I’m sure you know Monica Geller from the hit TV series Friends. One of her qualities that fans and viewers could never forget is her passion for cleaning. Everybody has experienced cleaning. It can be in a form of taking a shower, or decluttering your things, it could also be in a form of sorting out your clothes and laundry. Everybody does it, whether you are pleased or pissed. But because people are busy with other things like their jobs, or school or parenting, cleaning services are becoming popular these days. If you are trying to get into this sort of business, you have to be familiar with some of the paperwork that go with it, like quotations and receipts. 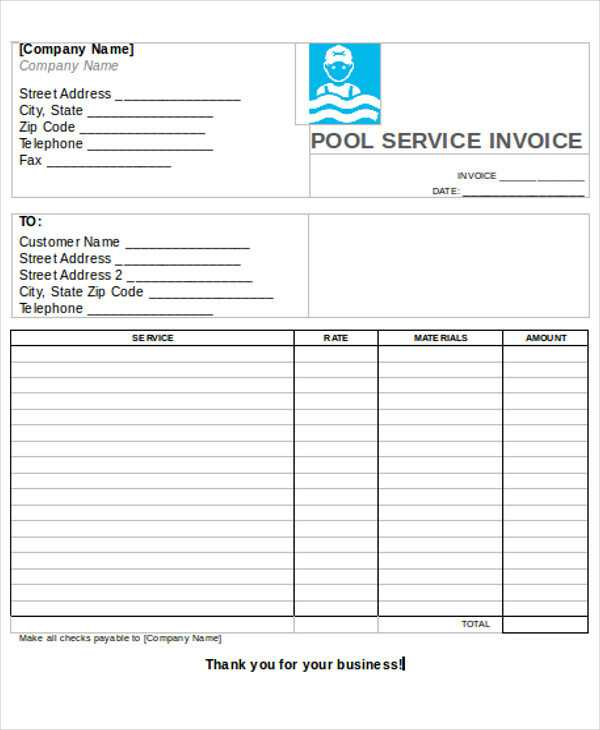 Below are Sample Receipts you can download for free. the form of payment—cash or credit card. 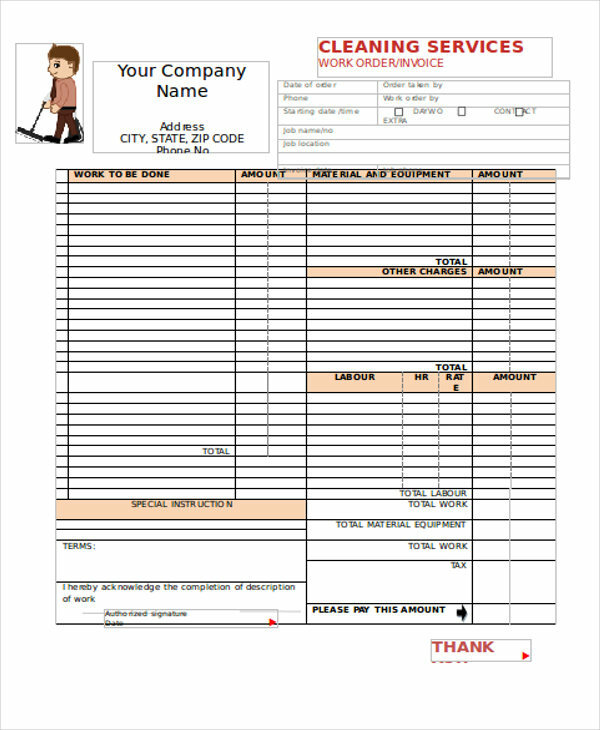 It records the transfer of a product or service from the seller to the buyer. In case your buyer wants an exchange or repair with the product or service rendered, a receipt must be presented as a proof that you already made a joint transaction. 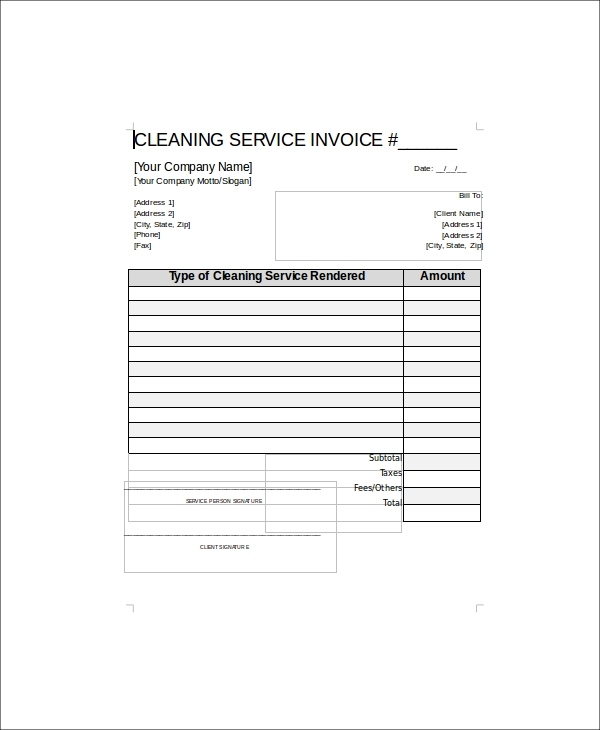 It documents expenses and cash flow. It is a proof of ownership or possession in matters of insurance. It can present how well you are doing in your business. These are just some of the basics that you have to secure of in venturing into the cleaning business, or any sort of business as a matter of fact. In case you are still eager to learn more, you can check out our wide range of samples. We also have Money Receipt Samples. Feel free to browse through them. There should be a pleasant relationship between the retailer and the customer for they both need each other. This is, I guess, more imperative for businesses such as cleaning services. I mean, your customers trust you so much that you are allowed to touch their personal stuff and space. One of the things that can help in maintaining this relationship are paperwork and documents. But of course, the products and services come first. So there you have it. It’s really good to think about business prospects, especially when the business is about something that you are very passionate with. Cleaning may sound natural and common, that’s because it is. But do not underestimate it. Cleanliness brings order, structure, and serenity. Think of the joy of waking up in a room where everything is in its proper place. Maybe that’s why cartoons make cleaning look and feel fun—with the extra spectacle of the song and dance number. 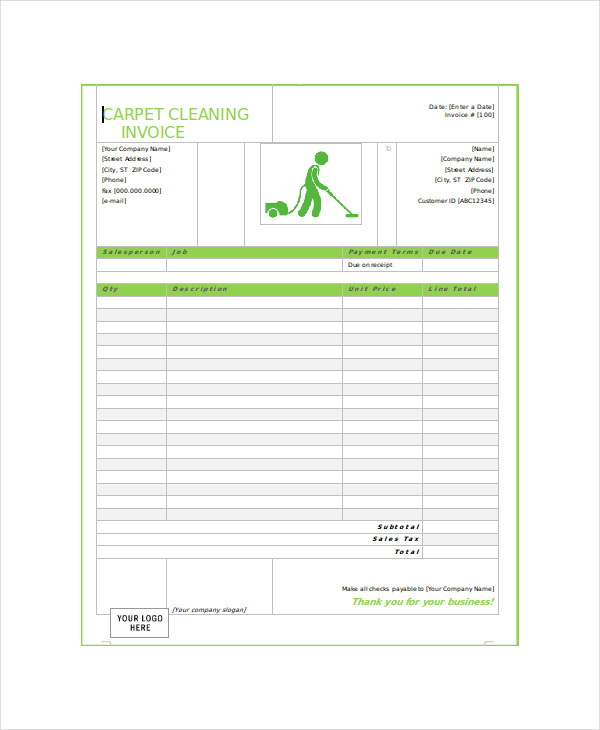 And if you are thinking of other business ventures, like sales, you may also check out our Sales Receipt Samples.